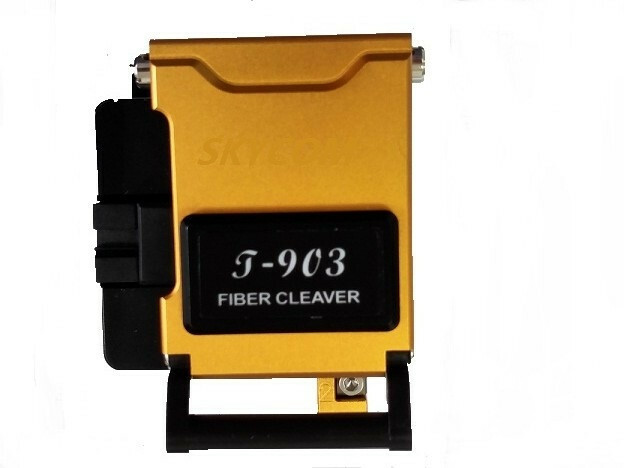 The T-903 is an economic multi-action and high precision fiber cleaver, standard length 16mm. Compact, slim and simple is available for application. ♦ Dimensions: 63(W) x 76（D) x 63(H)mm. > Leading Date: Within 3 to 5 working days for small orders after deposit received, kindly negotiation for bulk order. > Shipment: By DHL, FedEx, TNT, EMS & UPS, directly delivery to your hands. Skycom sales team can provide detailed answers to your specific questions. 1. ARE YOU THE MANUFACTURER OR TRADING COMPANY? We are the manufacturer and have our own workshops which more than 2000 m2. We guarantee all our electrical and mechanical parts for one year from the delivery date the machine running smooth in customer's place. We are responsible for the whole saling process of our products, and whenever you have questions during use, just call us, we are glad to help you timely. 4. How's the payment term? Payment accept T/T, Western Union, etc. 6. WHY DO WE CHOOSE YOUR COMPANY? 1. We are gold supplier with 3 years history, up to now, our products have been covering more than 20 countries of all over the world. 1. Take the Beijing-shanghai high-speed railway to Nanjing South Station, from Nanjing South station to our factory just 40 minutes by car. Sincerely welcome you to visit our company. Nanjing Tianxingtong Electronic Technology Co., Ltd. is a China professional manufacturer of Optical Fiber Fusion Splicer related products, with ultra-reliable quality, timely delivery & thoughtful service. 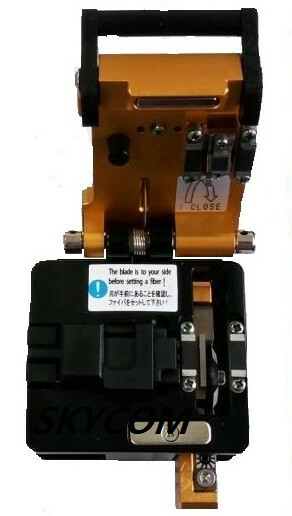 The main products series include fusion splicer, OTDR, optical fiber cleaver, cable welding machine, power meter, etc. > We are a high-tech enterprise, located in Nanjing, Jiangsu - the most developed province in machinery industry in the East China. 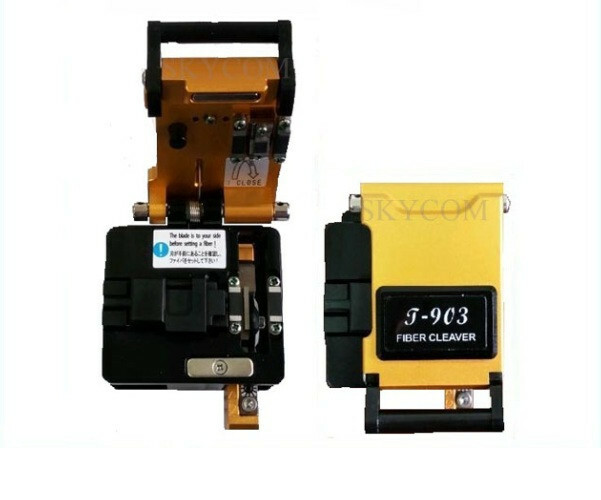 We has been dedicated to R&D, manufacturing fusion splicer since established in 2010. 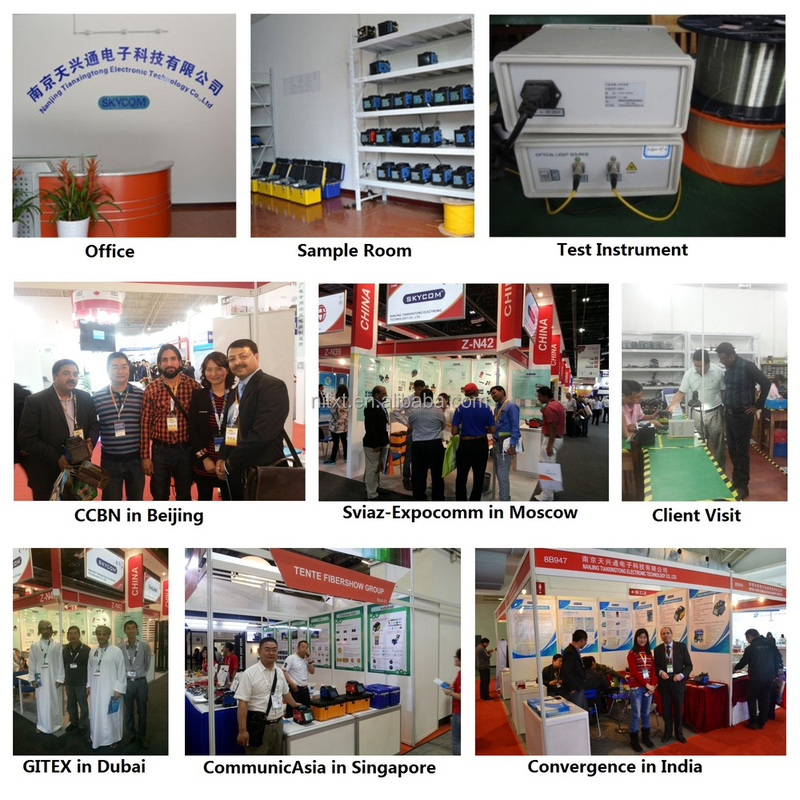 > With excellent rich-experienced experts and well-trained marketing team, adopting modern production management system, we are expanding rapidly, and now becoming a leading supplier of fusion splicer and other related optical fiber tools and equipment in China. >Our company adopts the scientific quality management system and advanced professional production equipment and testing instruments. Furthermore, we always take excellent quality of products and quality service as the enterprise's life. Our company is dedicated to providing customers with high-quality products, timely technical support and thought after-sales service since founded. We have formed a "four in one" integrated system including design, manufacture, sales, and installation. 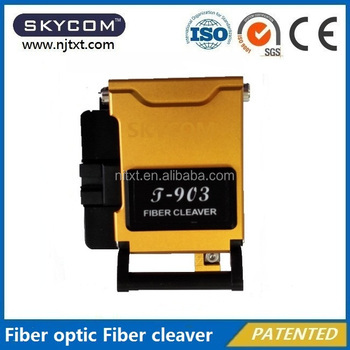 > Our products are widely applied to support the use of all kinds of optical communication engineering worldwide. After many years of exploiting market, our products are widely acknowledged and trusted by different customers around the world, such as UK, USA, France, Australia, India and Africa, etc. We sincerely welcome domestic and international customers contact and visit us for future business relationships and mutual success!